Jennifer’s Sasee Book Club (Aug. 2008) | Sasee Magazine | It’s all about women. It’s all about you. Women have always survived hard times with courage and conviction. Two characters, from two significant periods in history, demonstrate a type of courage that only women can understand. Trudy Hulst and Ma Joad endure perilous journeys, police aggression and the loss of loved-ones in order to keep their families together. 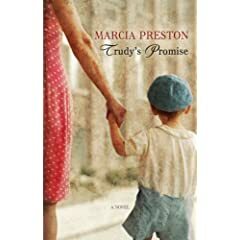 Trudy’s Promise, by Marcia Preston, is an inspirational story about a mother who must leave her only child in order to secure a safe future for him. Marked as the wife of a defector, Trudy must escape communist police and find refuge on the democratic side of the Berlin Wall. Once outside the strangle-hold of communism, she must figure out a way to rescue her child. Set in Berlin, during the Cold War era, this story illuminates the hardship and fear inside the Berlin Wall. 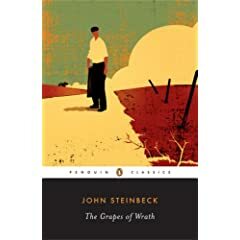 The Grapes of Wrath, by John Steinbeck, is a majestic novel that showcases the triumphs and the defeats of the Joad family as they fight their way through the Great Depression. Ma Joad embodies courage as she holds her family together and helps others who are struggling to survive. The Joads lose their farm and must travel across the California desert, with minimal provisions, to start a new life. This novel is a portrait of the struggles of one family during one of the hardest times in American history. I highly recommend the audio version of The Grapes of Wrath. Both Trudy and Ma Joad face a crisis that threatens their family, but each woman chooses a different course. In Trudy’s Promise, Trudy makes the decision to leave her child and her mother-in-law, but in The Grapes of Wrath Ma Joad fights to keep her family together at all costs. Which of these characters are you most like? Do you think Trudy and Ma Joad are exceptional women, or do you believe that all women are capable of extraordinary acts of courage? Do you think any of the actions that these women take are cowardly? Staying true to what you believe in can require terrific amounts of courage. Read notable books with Sasee and see how everyday people are transformed into heroes. Jennifer Borchers is a frequent visitor to Myrtle Beach. As an Upstate resident, she looks forward to spending her vacation time at the shore and among her favorite haunts along the Grand Strand. Jennifer is a senior at Converse College and will receive a BA in English in 2008. She lives in Greer with her husband and two children.